Looks to me like there's the odd spot of rust in this door bottom off the transit. 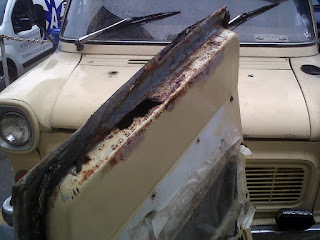 Typically the rust you can see on this Mk1 transit door is just the tip of an iceberg,the hole will get much bigger with a bit of prodding and poking.The vehicle spent the past few years parked up on Lowestofts dockside where it was wetted by sea spray every time the wind blew. Has it really been this long? I'm sure there are builders who've built houses in less time than I've taken so far to sort this one out. I've now had the doors stripped and am making a stair rail after managing to fall down the stairs. The floor boards are all back down after sorting out the plumbing and wiring and the fireplace that had been covered with tiles (badly) has been opened up. The taxi and the P5b got through the MOTs just the motorhome and newest Rover to do. I fitted some wing mirrors on the P5b so I could reverse it easier,a very stiff neck (getting old) was making it harder to judge and I dont really want to wuipe the door handles off on a wall. 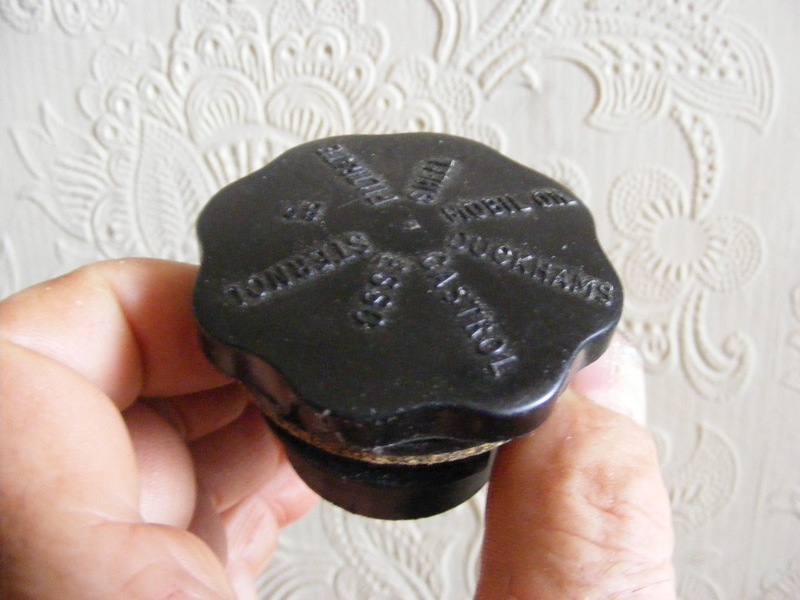 I picked up a load of new oil filler caps for the older BMC vehicles at a car boot,I'll try them on Ebay and see how they go.